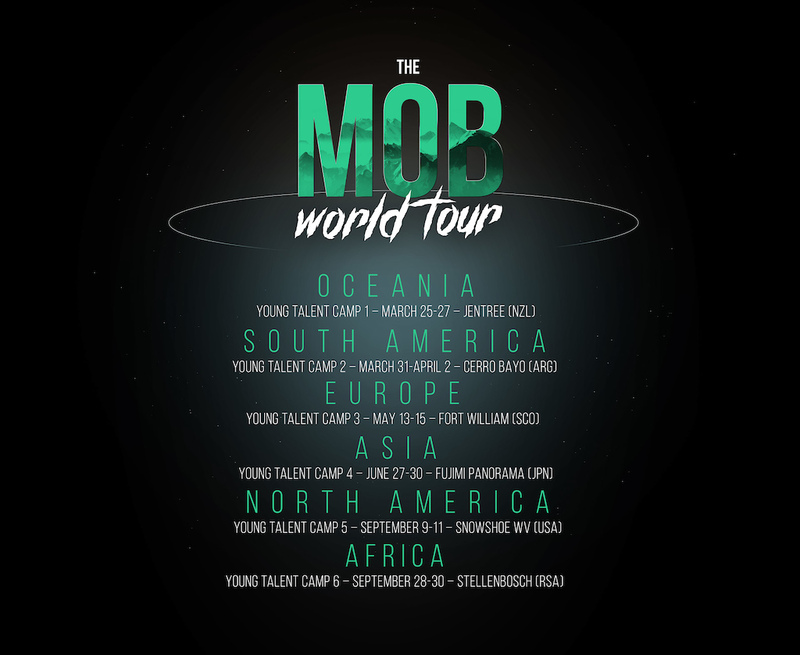 PRESS RELEASE: The YT MobToday the YT Mob is excited to announce that together with title sponsor YT Industries, the team has a unique plan for the next three years, starting with a ‘World Tour’ of Young Talent Camps being held on all six inhabited continents. The team’s current young talent Angel Suarez will contest all 8 Rounds of the UCI World Cup, as well as travel to the six venues listed below, with Team Owner Martin Whiteley, to host the Young Talent Camps.The Young Talent Camps will be held over a few days, some will be combined with races, and at each camp Angel will take the riders through a series of skill sessions, downhill runs and other practical classes. The camps are not only a great opportunity for young riders to meet a World Cup rider and learn more about the sport at that level, but it’ll give the team a chance to meet some of the up and coming riders of the future.What makes the World Tour unique is that from these 6 camps, 8 of the best riders we find will be brought to Spain in October for a final camp at Mob HQ, and from that, at least 2 riders will join the YT Mob as professional Junior World Cup riders in 2020. They will ride alongside Angel Suarez and other top level elite riders yet to be announced.